This edition stresses some critical reflectons regarding security policies before and during Sport Events in our contemporary era of generalized insecurity. Sport competitions at the national, European and global levels have evolved in terms of economic investment, social importance and media coverage. However, this evolution has brought with it major political concerns. At the same time, the dominant question regarding the organization of competitions in our post-modern, neoliberal risk societies is the creation of a safe and secure milieu; the need ofconstruction of an environment of life where sport events and the multiple activities and interests related to them can be kept safe from any risk and potentially harmful occurrence. In the name of security, anticipatory dispositifs and risk management practices, rationalities and technologies of government do not exclusively attempt to prevent disastrous incidents or to maintain order in situ. Involving a set of heteronymous public and private organizations and bureaucraties, state "experts" and not state "security managers", proactive security strategies seek to imagine the future, to pre-empt, to act in advance, to anticipate possible catastrophic incidents by managing populations and spaces in order to set, to assure, with any cost, the ideal conditions. 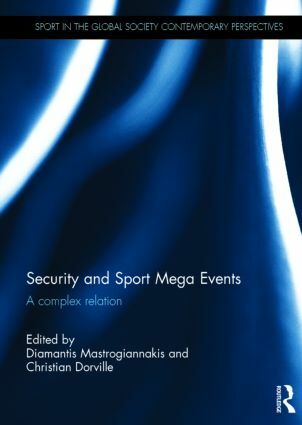 The aim of this volume is to highlight the complex set of legal provisions, surveillance and policing practices, discourses, bureaucratic procedures and spatial and architectural forms underpin the security governance of sport events and their effects in the contemporary era of widespread uncertainty. Diamantis Mastrogiannakis has a Ph.D in Sport Sociology (University of Lille 2) and he is a contractual Lecturer at the Department of Sport Sciences of the same University. His publications concern the regulation of hooliganism in Greece and security issues. He co-edited a book titled Risk Management and Sport Events (Le Mansuscrit, Paris 2012) and he is preparing a book in French "La régulation du hooliganism en Grèce: jeux et enjeux des politiques anti-hooligan". Christian Dorville is a Maître de Conference H.D.R. (Associate Professor) at the Sports Department of the University of Lille 2, member of the research centre ER3S (Equipe de Recherche Septentriole Sport et Société) and associated researcher at GIREST (Inter-University Research Group Sport and Tourism). He is the editor of diverse books regarding sport identities and cultural issues such as Sport en Nord (2006), Grandes figures sportives du Nord (2011), Le Patrimoine de nos régions: ruine ou richesse future? (2011).